Have you been looking for a conditioner that removes chlorine from your hair? Then you’ve found the right place. Goodbye Chlorine makes conditioner and other products for chlorine hair. Regular swimming is excellent for your health. Are you beginning to feel the mental and physical benefits from swimming? If so, you may have also noticed your hair isn’t feeling so great. Let’s look at some ways to battle the condition known as “swimmer’s hair”. You may need a conditioner for chlorine hair. Read on. This article will help you choose a conditioner for chlorine hair (or swimmer’s hair as it’s commonly called). Since the invention of chlorinated swimming pools, swimmers have battled with the damaging effects of chlorine. It is so common, that some ELITE swimmers surrender to “swimmer’s hair” and shave their heads. Some wear the lingering chlorine odor as badge of honor. It’s proof of swimming for 2-3 hours a day. In the past, swimmers found ways to cope with these problems. Fortunately, damaged hair and chlorine odor can be eliminated. You may need a conditioner for chlorine hair. Read this article if you would like to learn more about how anti-chlorine shampoo and conditioner work better together. 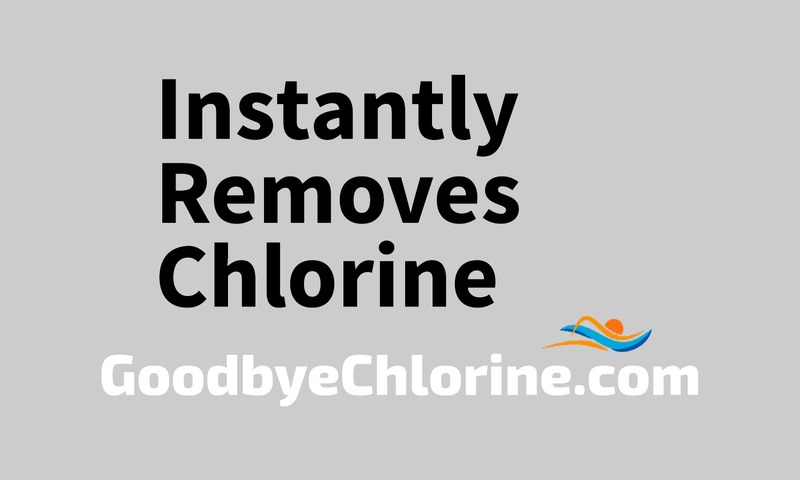 Recreational swimmers who are in the pool up to 5 times per week should use our Goodbye Chlorine products. Our anti-chlorine conditioner is the correct strength for recreational swimmers. It is gently and effectively removes chlorine without using harsh chemicals. Buy our anti-chlorine conditioner with shampoo and receive a discount here. We also offer a larger discount with our anti-chlorine value bundle here. Elite athletes who are in the pool more than 5 times per week should use our ELITE products. Our conditioner for chlorine hair is for elite athletes who have prolonged exposure to chlorine. It is gentle and removes chlorine without using harsh chemicals. It also restores moisture, balances pH, assists in comb out and protects. Buy our anti-chlorine conditioner with shampoo and receive a discount here. We also offer a larger discount with our anti-chlorine value bundle here. Children who are learning to swim or who love to swim should use our Swimmer Kids products. Our Swimmer Kids anti-chlorine conditioner works best for young swimmers. It effectively removes chlorine without using harsh chemicals and is gentle enough to use every day. Swimmer Kids conditioner for chlorine hair also restore moisture to chlorine-damaged hair. Buy our anti-chlorine conditioner with shampoo and receive a discount here. We also offer a larger discount with our anti-chlorine value bundle here. People who are sensitive to chlorine, who use chlorinated showers or who enjoy the back yard hot tub should use our Protect products. Our anti-chlorine conditioner is the right strength for people who are sensitive to chlorine. It gently and effectively removes chlorine without using harsh chemicals. Protect conditioner also restores moisture lost to chlorine-damage. Buy our anti-chlorine conditioner with shampoo and receive a discount here. We also offer a larger discount with our anti-chlorine value bundle here. Our anti-chlorine shampoo and conditioner work better together. See our “better together” offers for our brands: Goodbye Chlorine, ELITE, Swimmer Kids and Protect. How avid swimmers keep their hair looking good. How to prevent chlorine from damaging your hair. Swimmers’ Hair: A look into shampoos and conditioners. Hair care advice for swimmers from experts. Shop for all of our anti-chlorine conditioner.